Lebanon Ballet School’sproduction of Clara’s Dream. On the District’s last professional learning day, arts teachers Lauren Haley, Jonathan Warren, Jonathan Verge, Todd Matte, John Carey, Gary Rothe, Yvette Garnham, Todd Renninger, Christine Greenough, Margaret Schultz, Megan Cardillo, and Thea Calitri-Martin met to work on the PreK-12 curriculum. Working from a foundation rooted in their collective passion and professional experience, these teachers met to create a program to fulfill unique objectives in educating their students. Agreeing that the inventive nature of the Arts encourages young people to actively participate intellectually, emotionally, kinesthetically, and socially in all subjects, they had their work cut out for them to create a program that considered the big canvas and the fine details. Aware that art in early education promotes the development of creative problem solving, critical thinking, self-expression and mindfulness, they knew that creating a solid yet comprehensive foundation would be key… thus, the Essential Arts Department was born. The name ‘Essential Arts’ is no accident. What makes the Arts essential is that they dovetail well with other core areas of study. The Essential Arts department teachers find that students have a much deeper and richer understanding of concepts and academic study if they can apply them in an artistic way. In collaboration with the other elementary school teachers, the group of Essential Arts teachers will discuss current themes in other grade-level courses to integrate the arts material with that of social studies, science, English Language Arts, and math. The arts programs are integrated into the student experience during their elementary years, and students will begin to specialize in middle and high school. Hanover Street School art teacher, Megan Cardillo, says, “There is nothing better than seeing a student’s eyes light up when they have information to use in art class that they have learned in another class.” Students seem to be amazed at the unlimited possibilities by combining art and technology. The arts offerings in elementary and middle school include Physical Education, Family Consumer Science, STEM, and Health. Middle school students learn new games like rugby and tchoukball and gain information on how to live a healthy lifestyle through a variety of health related topics. In the Family and Consumer Science program, students learn how to put this information to work with cooking skills, kitchen safety, and nutrition. Dr. D’Entremont, middle school principal said, “Administrators from around the country often comment about the depth and breadth of arts programming offered at LMS. Elementary and middle school students are exposed to coding, typing, and a variety of other STEM related topics. Middle schoolers learn to fly planes over Google Earth and build and fly rockets through the design process. “We are fortunate to be able to offer such variety to our students,” D’Entremont said. On a visit to any of the District’s four schools, artwork is proudly displayed in hallways and classrooms. In the middle school, student work such as coil pots, animation, bobbleheads, and sketches adorn the walls and display cases. 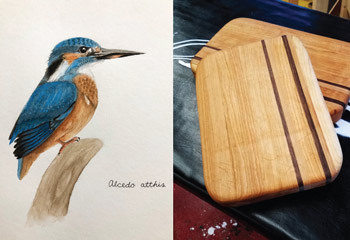 Middle schoolers learn basic woodworking to create small projects. By high school, the visual artists can hone their skills with classes like Art and Design, Drawing, Photography, Digital Animation, Modern Art, Painting, Portfolio, Creativity, Ceramics and Sculpture, and Woodworking to continue their artistic education. 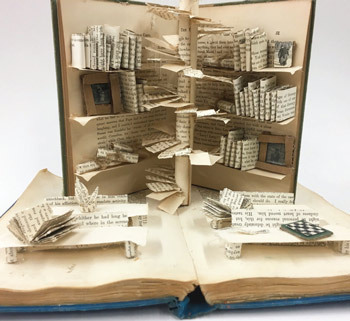 Many LHS students have continued their art education at Rhode Island School of Design, NH Institute of Art, Maine College of Art, Emerson College and others by using the skills they learned early in programs like these. The Essential Arts Program offers extensive music opportunities, as well. In elementary school, students can explore drumming, playing the recorder, and other activities that create a foundation for further study. It is in Grade 5 that students choose an instrument and begin the process of learning what it means to be an instrumental musician and member of the band. “Playing an instrument is more than learning key and time signatures, it is also about becoming part of a community,” says Bonnie Robinson, Director of Curriculum at LHS. 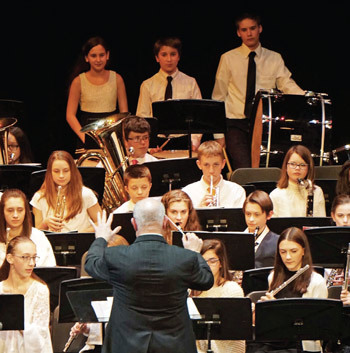 The District’s annual Spring concert features beginning musicians from the Middle School and Grantham Middle School, several small groups and ensembles comprised of the bands of grades 5-8, and the High School Concert Band. The middle school and high school also provide opportunities for instrumentalists to specialize by playing in the Jazz Band and/or Pep Band. Last spring, the 74-person high school concert band was given the opportunity to tour Ireland and marches in 2-3 parades annually. However, students who are not part of the band programs have opportunities to learn to play instruments in other ways. At both the middle and high school, students learn to play guitar. 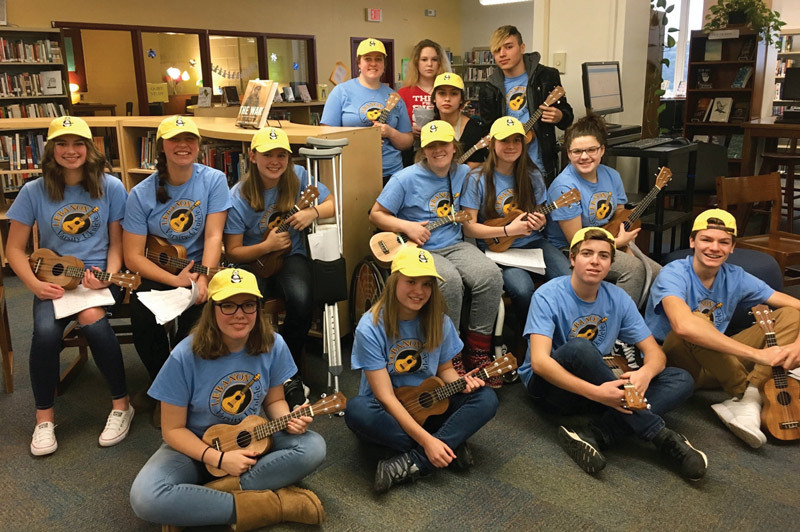 The high school offers courses in piano, wind ensemble, ukulele and African drumming and hold well-anticipated end-of-semester recitals in the Library. In addition to general music classes, students can sing in a chorus offered at all four District schools. 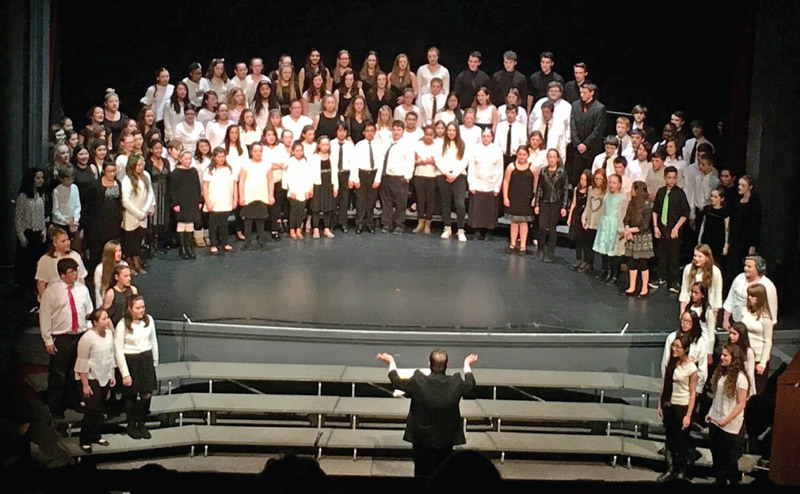 Each year at the All-District Choral Concert, four schools come together to celebrate choral music and sing together as a group. Both middle school and high school levels offer a cappella groups; students may audition for and sign with The Treblemakers in middle school and then may move on to join the honors choir at LHS, The Superlatives, or the school’s a cappella group, Pandemonium. Students may also study independently through the Extended Learning Opportunities department. These choral musicians often participate in community events such as assemblies, graduation, holiday tours of local retirement facilities and often volunteer to sing the national anthem before athletic events. If all the world is a stage, Lebanon students have plenty of opportunities for curtain calls. Theater is integrated into classrooms beginning in elementary school, and each school has opportunities for performance. LMS has a vibrant 5-8 drama club that puts forward a musical production each year. Last year’s show was Madagascar Jr.
Bird painting by Anna Wolke. LHS Woodworking. 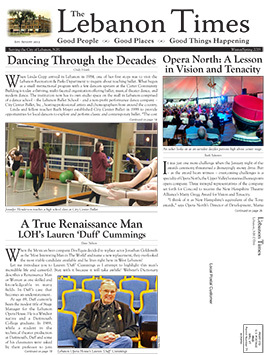 LHS has added courses in Acting, Musical Theater, and Stagecraft to its Performing Arts Department. Acting and Musical Theatre classes teach valuable skills for anyone that needs to present in front of a group. The classes help students gain confidence while performing to a group of any size by focusing on breath support, diction, clear communication and storytelling. The Technical Design classes engage students in creating the world of a play through lights, set design, costume and sound. The high school Wet Paint Players is a club that performs two plays annually allowing students to participate in major productions like this fall’s She Loves Me scheduled for November 29-December 1 at the Lebanon Opera House. 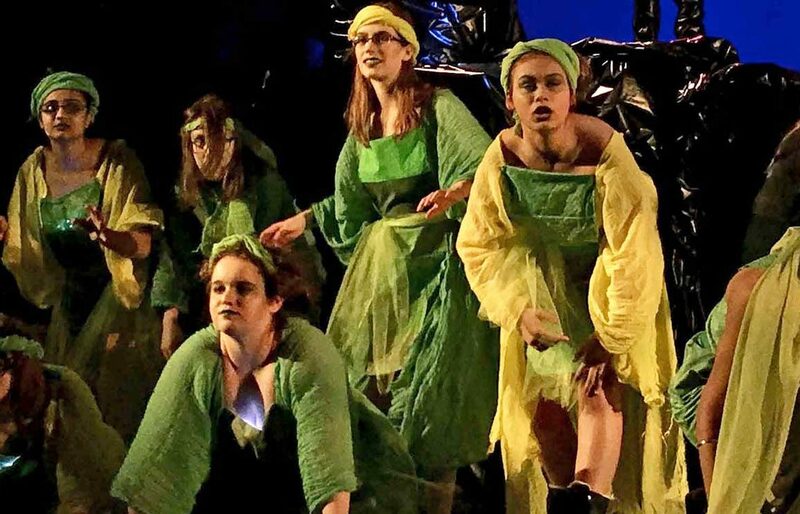 In addition to the Wet Paint Players, LHS and LMS students can take their skills to community groups like the Trumbull Hall Troupe, North Country Community Theater, and Northern Stage. The Extended Learning Opportunities (ELOs) recognize that learning happens beyond the classroom. The Lebanon community contributes and supports art education with local dance studios, the Upper Valley Music Center, the AVA gallery and many local private teachers. The high school has established a partnership with the Lebanon Ballet School in hopes that all students will be able to study dance as part of their regular school day. Until that happens, several students have completed ELOs with dance teachers Linda Copp and Jennifer Henderson. 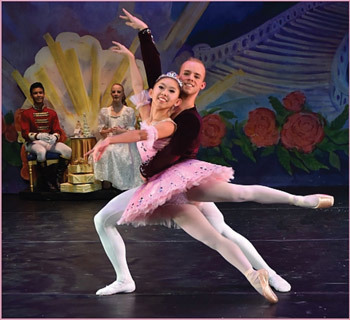 Their performance of classical ballet variations has launched many students to study dance after high school – some with full scholarships. We are incredibly proud of the opportunities our students are provided through our Essential Arts programs. These experiences fully support the Lebanon School District mission, C.A.R.E.S., and have a positive, powerful, and enduring impact.